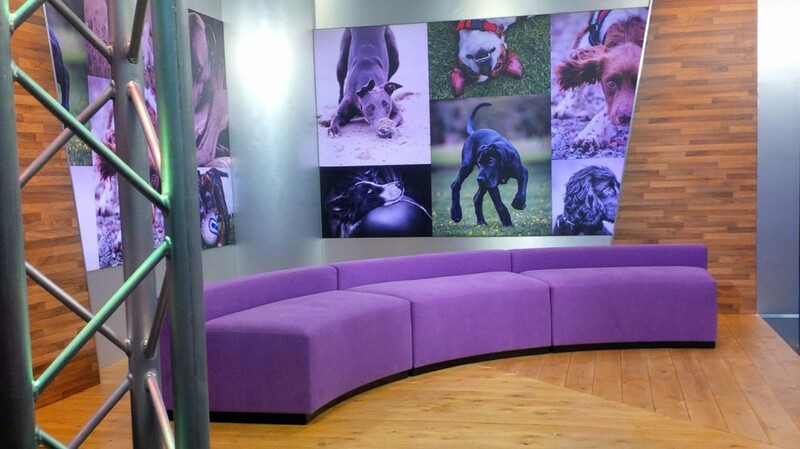 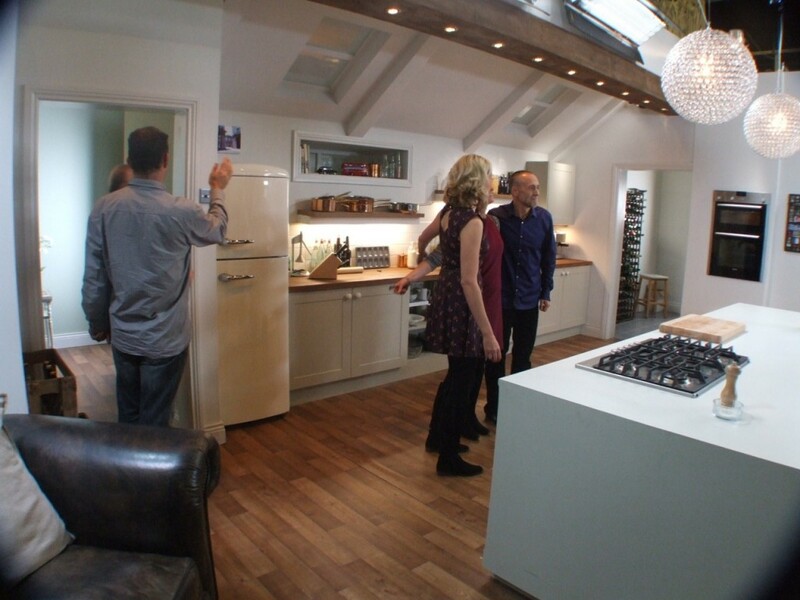 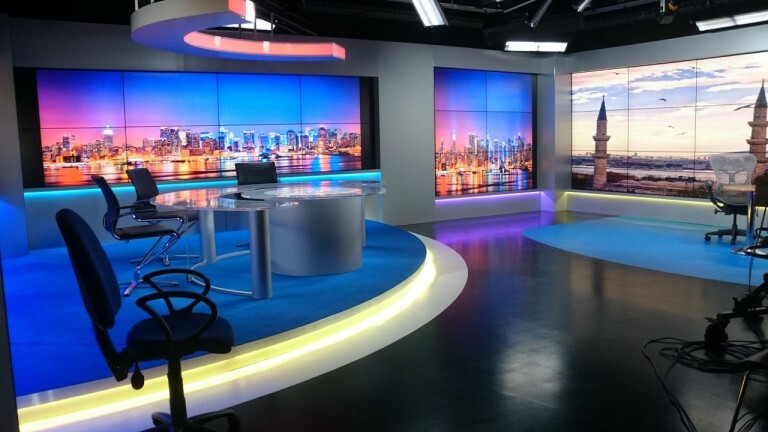 ECD are delighted to have completed the latest design and installation for the new Vox Africa set. 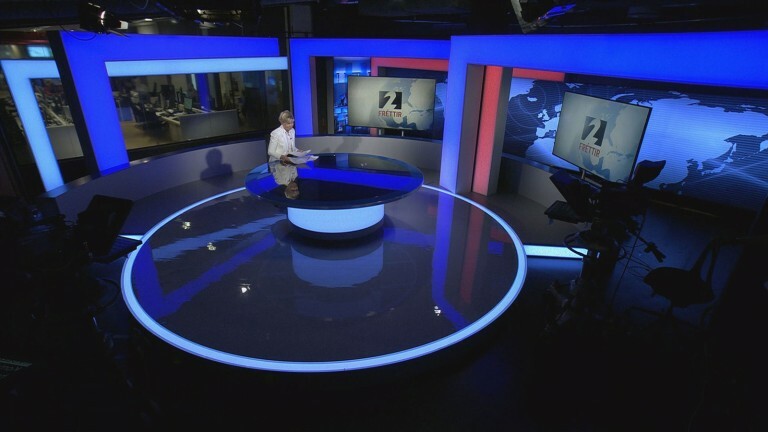 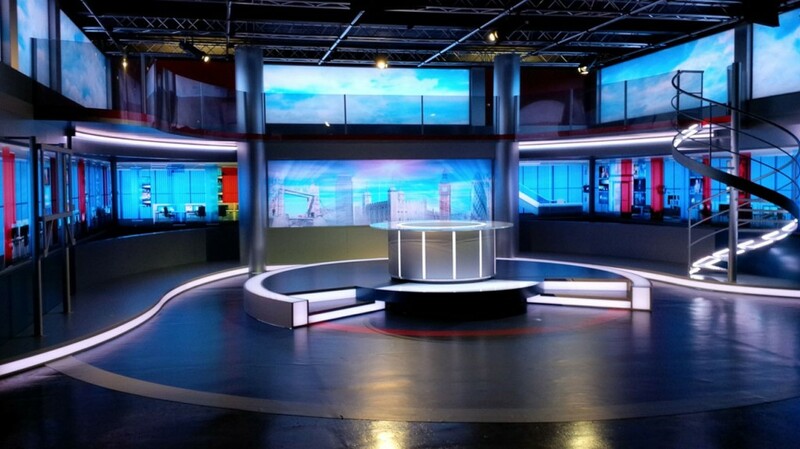 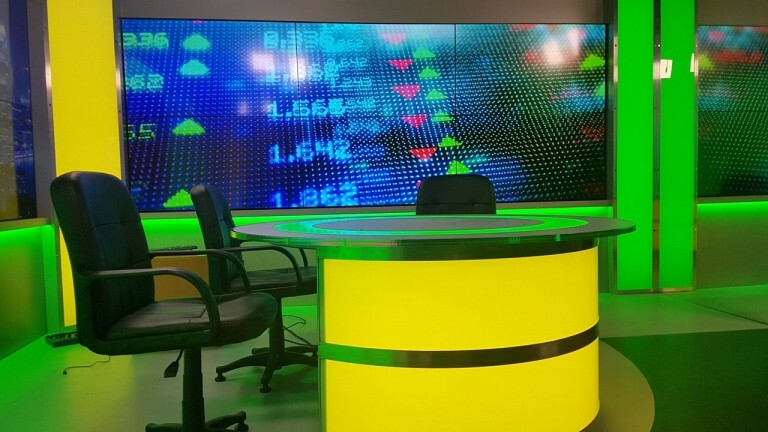 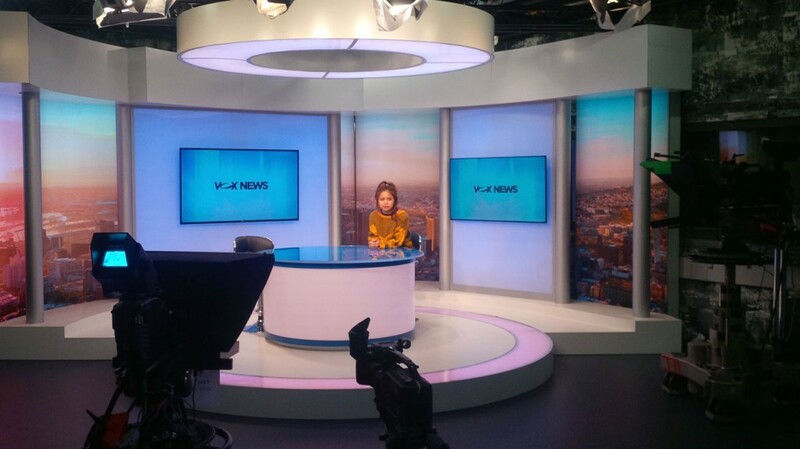 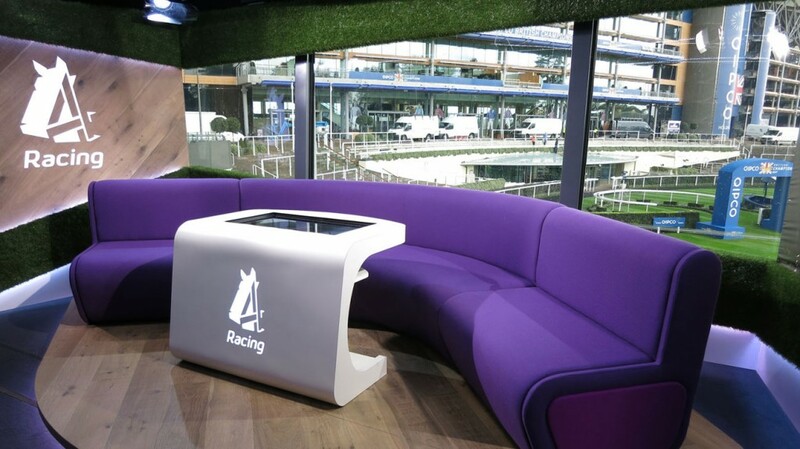 The news channel Vox Africa commissioned ECD to create a main news presentation set in their studio in London. 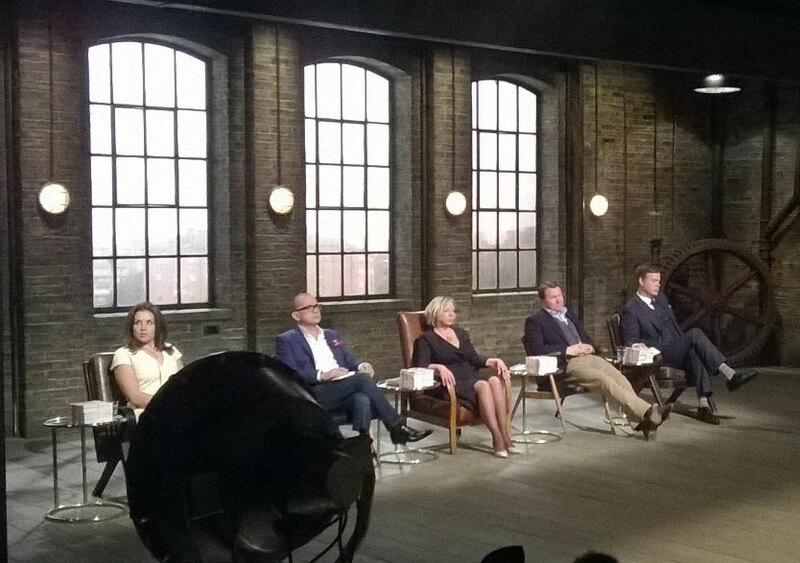 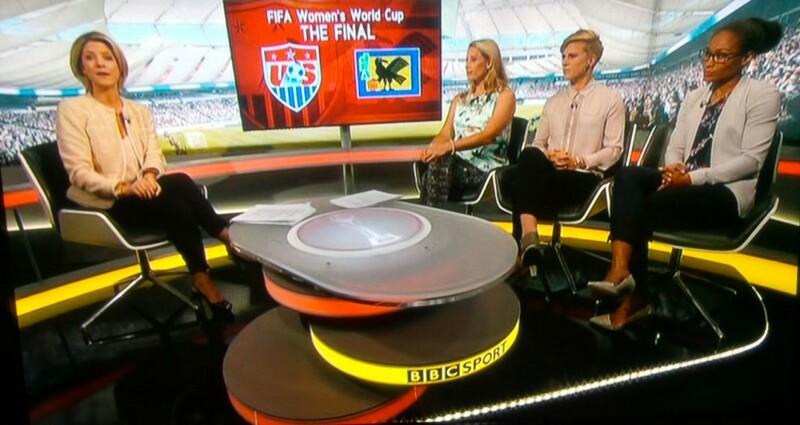 Their brief was tricky. 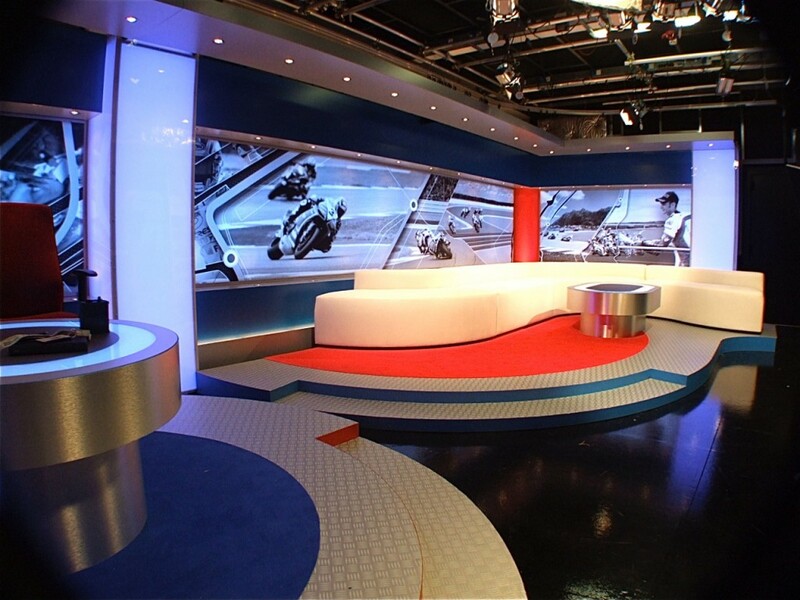 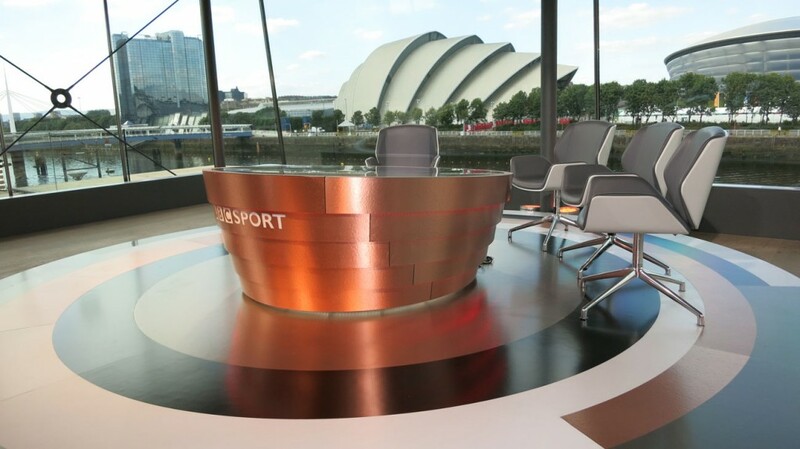 Not only did the set have to be their main anchor for daily news it also had to be adaptable for a variety of other different programme types requiring very different looks. 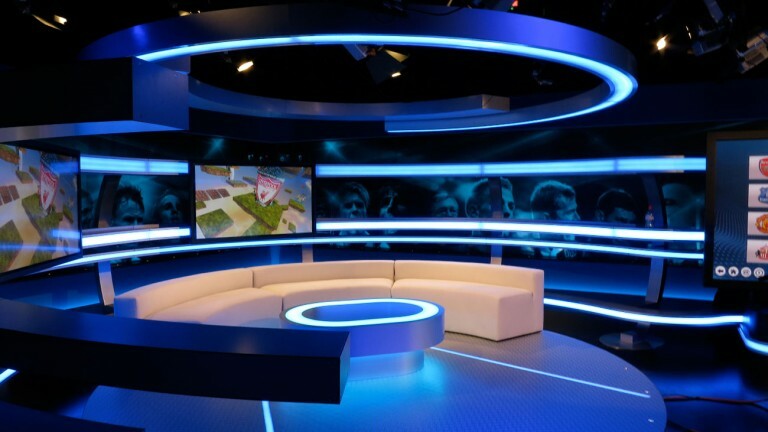 We produced a set which belies the restricted space it occupies by creating scale and depth while supplying the necessary flexibility from a variety of shooting angles. 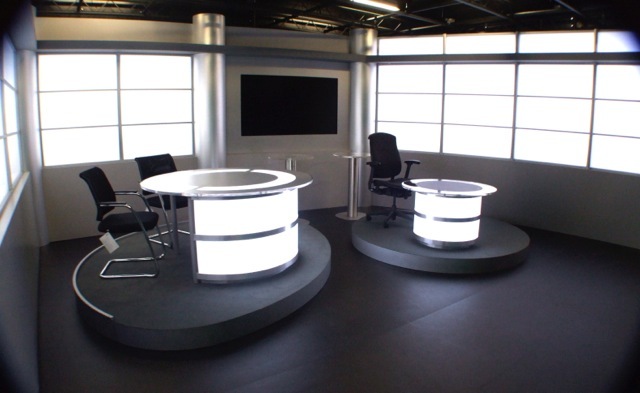 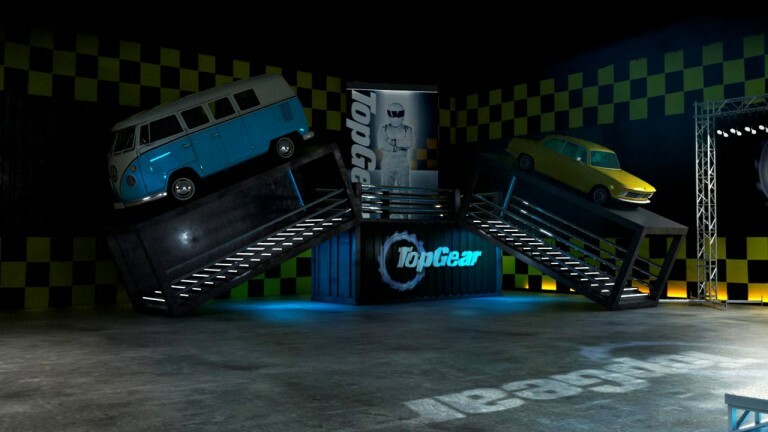 This was achieved with the use of a combination of large background graphic images, and lightboxes incorporated into the set with multifarious colour combinations.